Lemax Bell's Gourmet Popcorn Factory 'Sights & Sounds' musical table piece depicts a wonderful seasonal popping corn factory with internal viewable window displays. The amazing Popping Tower demonstrates the corn being popped, designed with clear viewing window for external viewing above the factory rooftop to delight the town folk from afar. A vocal and musical soundtrack entices customers to come and visit the factory and gift store for daily tours, whilst external and internal lights offer a real welcome during the daytime or at night. A unique Lemax Caddington Village themed collectable table piece which joined the Lemax collection in 2017. 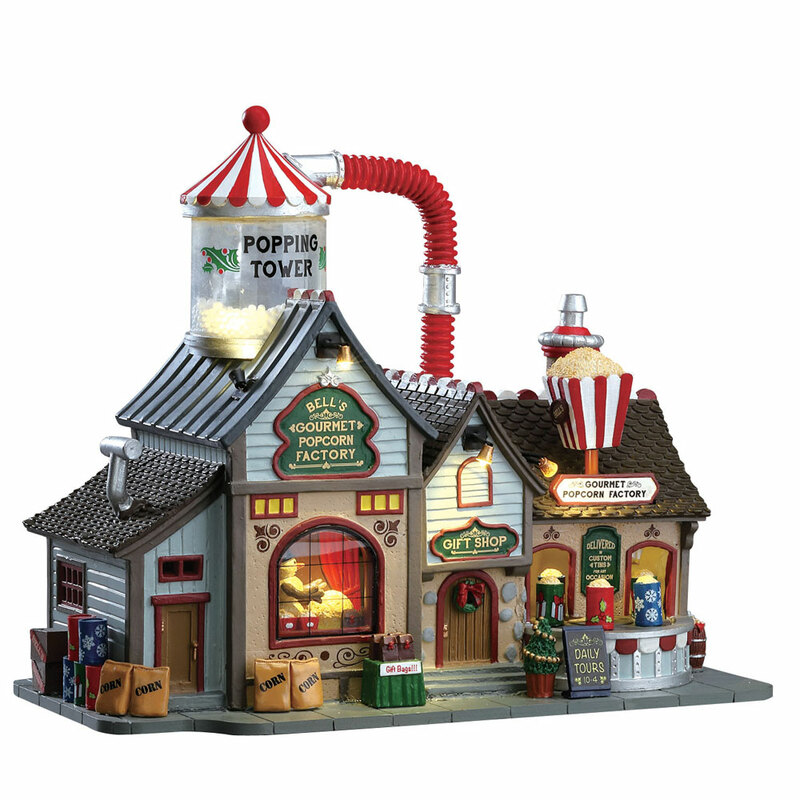 Bell's Gourmet Popcorn Factory offers a delightful self standing porcelain building on an individual street base to compliment your seasonal Lemax Village.